Esosa is a freshman at Padua. Born in London with Nigerian parents, she is undoubtedly an interesting person to talk to. Esosa loves her Honors Introduction to Literature class with Mr. Cross, and hopes to improve her writing skills by taking journalism this year. 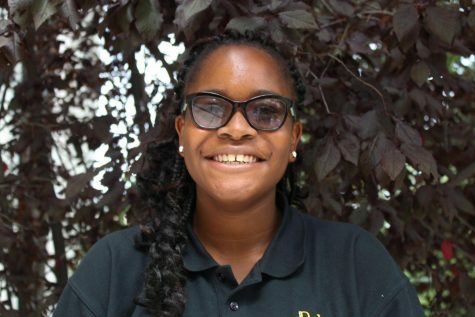 Fresh from Christ the Teacher, Esosa has already made many friends here at Padua and looks forward to getting to know more people. “We have the same humor and same classes, so it’s easy to talk to my old and new friends,” she says. Esosa has three siblings, and will soon be moving to a new house where she will hopefully get her first dog (specifically a goberian—a husky mixed with a golden retriever). She plays basketball, and is an aspiring doctor… or maybe a musician—stay tuned.